The ILA R1 is designed to simplify your work and entertainment needs. The powerful MT6739 quad-core processor ensures the speedy performance of the phone. This ILA smartphone has a 2GB RAM which lets you play multi-media games, stream online videos, and run various apps with utmost ease. The ILA R1 is designed to simplify your work and entertainment needs. The powerful MT6739 quad-core processor ensures the speedy performance of the phone. This ILA smartphone has a 2GB RAM which lets you play multi-media games, stream online videos, and run various apps with utmost ease. You can store all your essential files and data on the 16GB internal memory. This phone has a Face ID unlock function that ensures safe and convenient unlocking. The safe and durable 2800mAh polymer Lithium-Ion battery lets you do what you love for an extended time. The 5.45inch full screen makes watching movies and TV shows on this phone a real treat to the eye. Furthermore, the 2.5D glass gives this phone an elegant look. 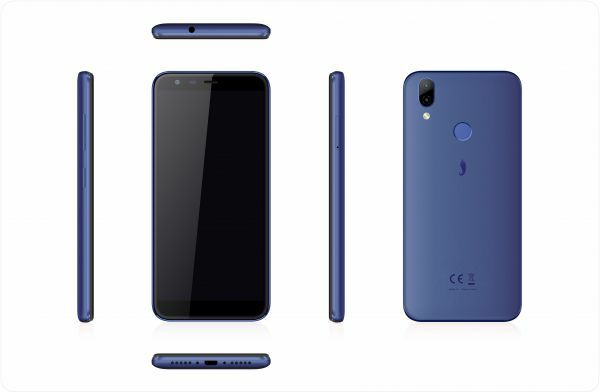 This phone comes with Android 8.1 operating system which manages memory, tasks, hardware, and software efficiently to give you reliable performance. This phone has a 13MP plus 0.3MP rear dual camera that delivers a phenomenal photography performance. Moreover, the 5MP front shooter enables you to take your selfie game up a notch. This ILA dual-SIM smartphone comes in a stunning blue color that is bound to impress everyone.